The Labour Party conference began on Sunday, amid fierce speculation about what the party’s stance on Brexit would be. Leader Jeremy Corbyn remains opposed to the idea of a second referendum, but many Labour MPs have openly called for a ‘People’s Vote’ on the final deal, including David Lammy, Tulip Siddiq and Chuka Umunna, who all signed an open letter in June pledging support for a second referendum. Brexit wasn’t the only topic on the agenda, though - here’s what Labour has revealed so far about its policies. Corbyn’s position remains against holding a second referendum, with he and Shadow Chancellor John McDonnell preferring the option of a general election. Shadow Brexit secretary Keir Starmer held a meeting at the conference in Liverpool with over 100 delegates, and drafted a two-page motion urging Labour to “keep all options on the table”, including a second referendum “if we cannot get a general election”. It’s expected that the motion will be passed on Tuesday. Deputy leader Tom Watson’s position leans more in favour of a second referendum. He told The Observer on Sunday: “Jeremy and I were elected in 2015 to give the Labour party back to its members. A YouGov poll published at the beginning of conference found that 86% of Labour members support a vote on the final Brexit deal. McDonnell revealed several plans for reshaping the economy in his speech. “Numerous institutions from churches to trade unions and pension funds have large scale shareholdings in many of the companies that avoid taxes,” he added, and announced his plans for a shareholder campaign to get companies to sign up to the “Fair Tax Mark standards” to demonstrate they pay their “fair share” of tax. He also called for workers to have greater shares in the companies they work for, saying: “We will legislate for large companies to transfer shares into an ‘Inclusive Ownership Fund’. The shares will be held and managed collectively by the workers. Under Labour’s plans, announced in a press release, ownership of existing water and sewerage systems would be transferred to regional water authorities (RWAs) made up of local councillors and representatives from trade unions, environmental and consumer bodies. Any profits would be reinvested into the system or used to reduce bills. They would also re-advertise director and executive roles on “dramatically reduced salaries”. “All staff will transfer on a TUPE basis [meaning they retain the rights they have in their current position if transferred to a new employer] in the same roles, except for senior executives and directors, whose posts will be re-advertised on dramatically reduced salaries capped by our 20:1 pay ratio policy,” it reads. In June, the GMB Union criticised water companies' bosses for their "fat cat" pay packets and launched a campaign to renationalise the industry. 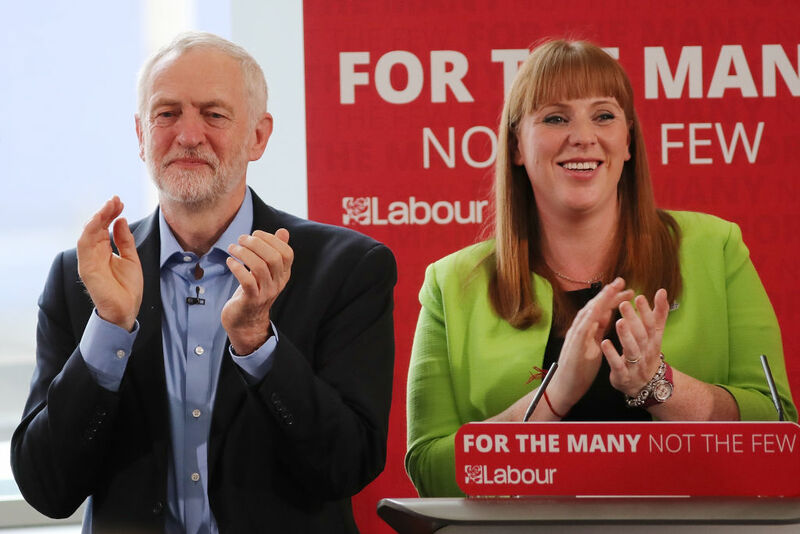 Labour would abolish free schools and "forced conversion of local schools to academies", shadow education secretary Angela Rayner announced. "The Tories have thrown money at an academy and free school programme that is not improving outcomes for pupils, even while individual schools have their budgets cut year after year," she said. Under the Coalition government, then-education secretary Michael Gove expanded the academies programme introduced by the previous Labour government under Tony Blair. The new policy announced by Rayner seeks to return control of school building and admissions to local authorities. Academies currently receive their funding from central government, while free schools can be set up by multiple bodies including charities and parent groups. Shadow health secretary Jonathan Ashworth pledged that every district hospital in England would have an alcohol care team to help addicts admitted to hospital with alcohol problems. Ashworth grew up with an alcoholic father, and pledged £13.5 million for the initiative. Labour’s own research found 41 NHS Trusts in England without an Alcohol Care Team in place. Speaking to Huff Post, Ashworth said: “For too long, addiction services have been left underfunded, overwhelmed and wholly unappreciated for the critical work they do in improving the lives of thousands of vulnerable people in our society. 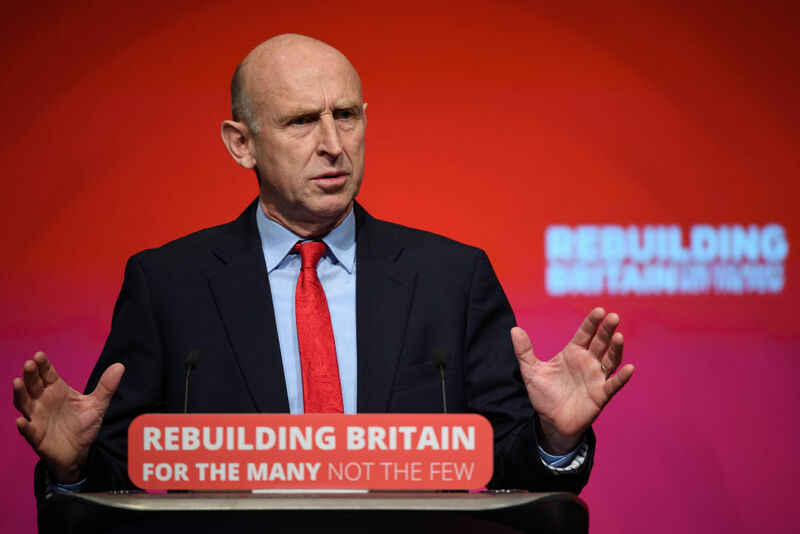 Shadow housing secretary John Healey announced that Labour would levy an extra tax on second homes, to help families living in temporary accommodation. Under his plans, owners of second homes used as holiday homes would be liable to pay double the current rate of council tax on their properties. Labour estimates the levy could raise up to £560 million a year, and House of Commons Library analysis shows up to 174,000 properties could be eligible for the tax. Think-tank The Resolution Foundation, which is focused on improving the lives on low- and middle-earners, conducted research last year which found a 30% increase in second home ownership between 2000-2002 and 2012-2014. “Over the last eight years, the Government has turned its back on the scandal of poor housing and homelessness. A housing market that works for the many needs Government action to ensure everyone has a place to call home,” Healey said.